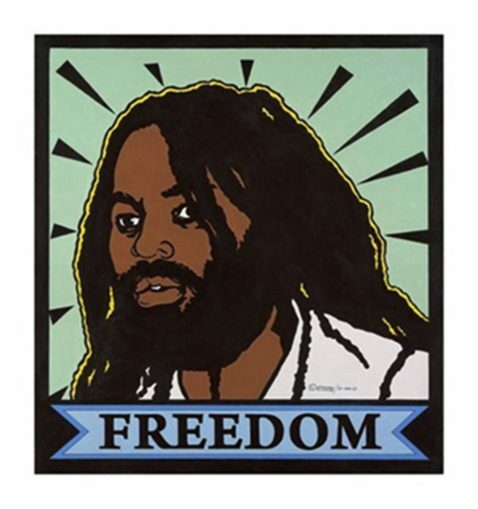 A court hearing on Mumia Abu-Jamal’s new Post-Conviction Relief Act petition will be held in the Pennsylvania Court of Common Pleas in Philadelphia on April 24, his birthday. Abu-Jamal supporters will demonstrate outside and be in the courtroom during the hearing, renewing the call for his release from prison. The attorneys for this appeal are Judith Ritter and Christina Swarms with the NAACP Legal Defense Fund. The new petition seeks to overturn all of the Pennsylvania Supreme Court decisions on Abu-Jamal’s appeals from 1995 to 2008, citing bias and conflict of interest by former Pennsylvania Supreme Court Justice Ronald D. Castille. 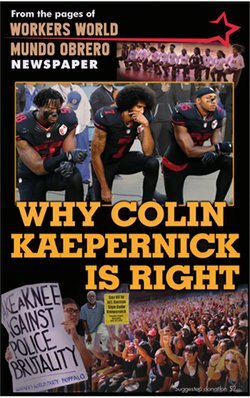 During Abu-Jamal’s 1982 trial for the murder of a Philadelphia police officer, for which Abu-Jamal pled innocent, Castille was a senior assistant district attorney. In 1989, as Philadelphia’s district attorney, Castille opposed Abu-Jamal’s appeal of his conviction and death sentence. Elected to the higher state court in 1994, Castille ruled against every appeal Abu-Jamal brought before him. Most of these were critical of the actions of the district attorney’s office during Castille’s tenure in it. When Terry Williams was convicted of murder in 1984 it was Castille, serving as Philadelphia district attorney, who approved the prosecutor’s request to seek the death penalty. When William’s appeal for a stay of his execution reached the Pennsylvania Supreme Court in 2012, then-Justice Castille denied the request for penalty relief and reinstated the death sentence. As he did in Williams’ case, Castille has refused every request Abu-Jamal has filed asking him to step aside from ruling on post-conviction appeals. The Williams v. Pennsylvania decision appears to validate Abu-Jamal’s right to not have Castille hear his case. If Abu-Jamal’s new legal action succeeds, he may get to reintroduce several legal challenges to the racist frame-up conviction that has led to his serving nearly 35 years in prison, including 30 years in solitary confinement on death row. If Abu-Jamal wins this appeal, he will get a new trial. A ruling in Abu-Jamal’s favor could provide a path to overturning his conviction and winning his freedom. Abu-Jamal’s legal case may be in the hands of the lawyers and the courts, but victories in the fight for his freedom have also depended on a broad and global support movement. For the entire time that Abu-Jamal has been unjustly imprisoned, his family and supporters — now numbering in the millions worldwide — have fought the state’s efforts to murder him. In August 1995, a massive rally of more than 10,000 in Philadelphia stopped the first effort to carry out the death penalty. From then until 2011, when Abu-Jamal was taken off death row to serve life imprisonment, masses filled the streets, attended every court hearing, signed petitions, held tribunals, raised funds for his legal support and continued to educate people about his case. Unable to legally execute Abu-Jamal, over the last two years the state has tried to carry out a death sentence through medical negligence and intentional medical mistreatment. After suffering from a severe yet untreated skin rash, in March 2015 Abu-Jamal suffered a near diabetic coma that required hospitalization. Subsequent tests to determine the cause revealed that he had untreated hepatitis C.
In August 2015, Abu-Jamal’s attorneys, Robert Boyle and Brett Grote, took his case to the Federal District Court in Pennsylvania to demand that the Philadelphia Department of Corrections provide him and thousands of other prisoners suffering from hepatitis C with drugs known to cure the disease. Although the judge who heard his case eventually ruled in Abu-Jamal’s favor this January, it took ongoing public pressure to finally force the DOC to begin treatment on March 28. Protests outside the court on April 24 and an evening program at the Arch St. Methodist Church will also link Abu-Jamal’s case with the struggles for immigrant rights, against mass incarceration and police brutality, Indigenous rights and the broader fight for clean water and air. For more information contact [email protected] or call 215-724-1618. For transportation from New York City for the April 24 court hearing, call 212-927-2924.